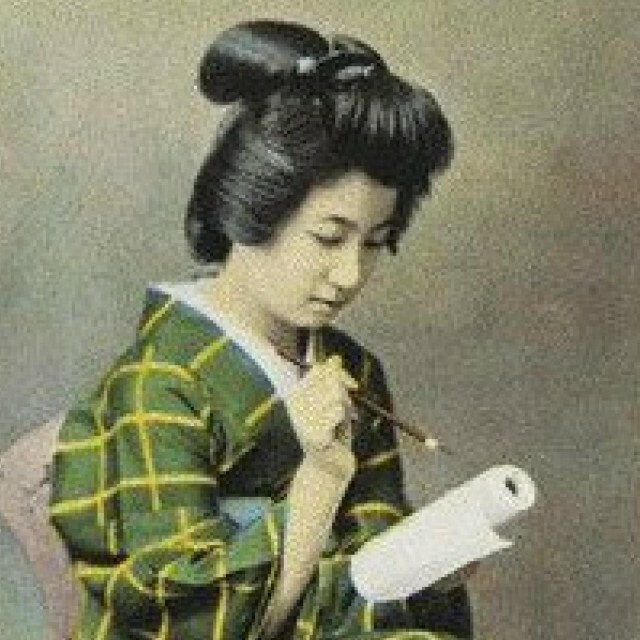 Benjamin Ryo Ogawa (a.k.a. Budget Ben a.k.a. The Party Cat of Uchinada) was born and raised in mid-Missouri. At the time of publication, Ben has entered his fourth year of employment in Uchinada, where he works as an interpreter/translator, and international events/education coordinator. On his free evenings Ben is often out attending a spot on his ever expanding list of must-visit Uchinada restaurants, karaoke bars, or izakayas. When most locals think of heading to the beach, they think of Uchinada. Just outside the city limits, this farming and family-friendly town carries an open, relaxed atmosphere and style all its own. 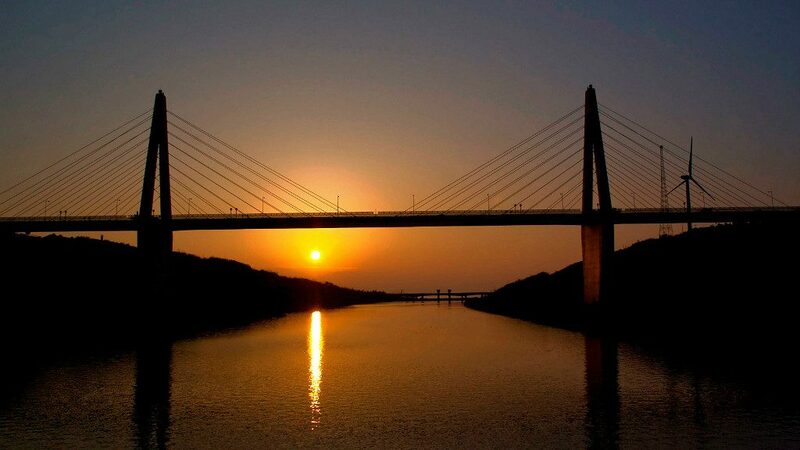 Beyond the beach, Uchinada offers a plethora of parks, delicious food, fascinating history and an international kite-flying festival in late spring. What makes Uchinada unique is the size of the beach. 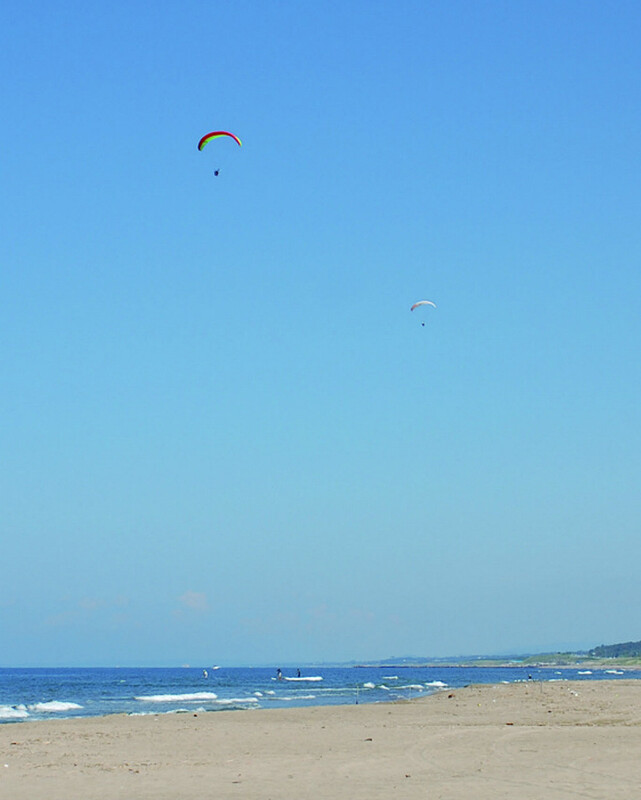 Many beaches in Hokuriku are losing shoreline, but Uchinada’s is still very large. This makes it picturesque, with plenty of room to spread out and not feel cramped by other beach-goers. It attracts folks from all over, yet it has a strong core of locals, creating an interesting vibe. People are friendly, curious, and passionate. 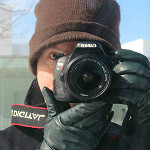 Invariably, I will make a new friend when I go to a new place in town, or the owner will come and talk with me. 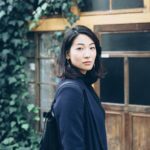 Neighborhood distinctions are sharp even inside of the town, so it would be a grave—yet common—mistake to write off Uchinada as simply a bed-town of Kanazawa. Uchinada is divided by the Kahoku Lagoon Canal, with beaches on both sides, and the north and south sections of the city are connected by the towering Sunset Bridge. The water turns blue not far from the shoreline, and the sand, particularly south side, is expansive. Ben tells me the beach is cleaned regularly for the summer and the kite festival. 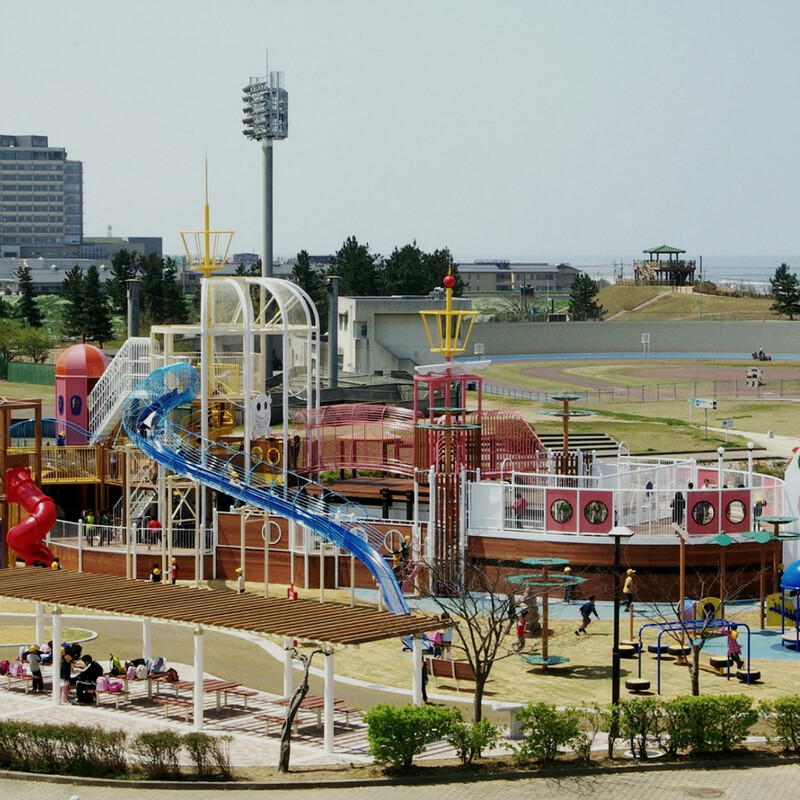 Aside from the beautiful beach, the town is family friendly, with a number of parks and play areas. 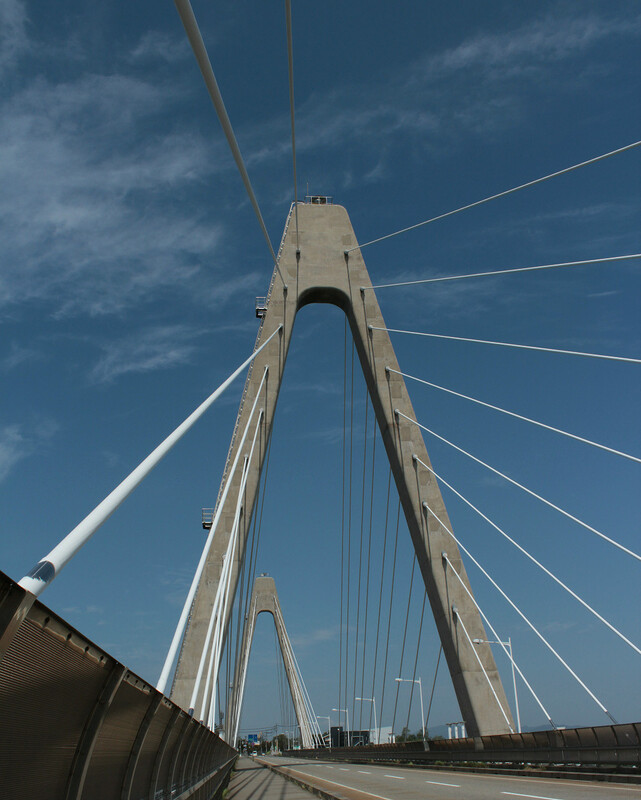 The largest is Uchinada General Park (sometimes called the Uchinada Multipurpose Park), across the Sunset Bridge on Uchinada’s north side. 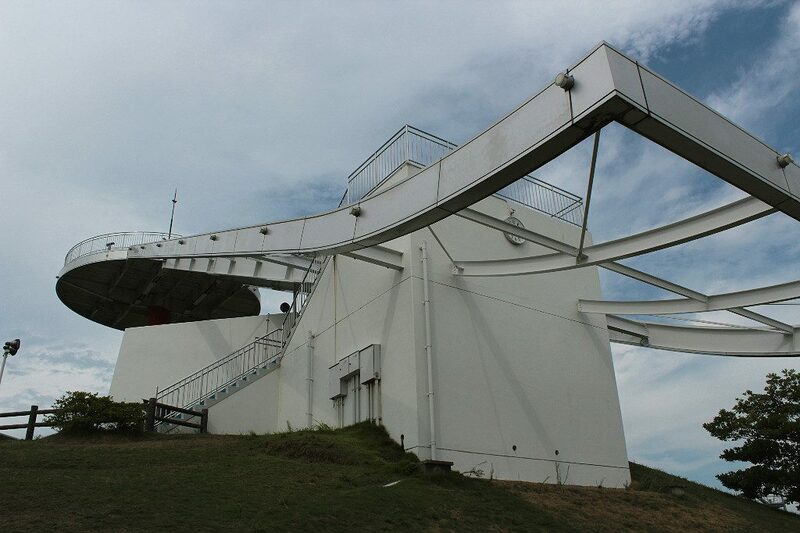 Race tracks, tennis courts, dining areas and a massive jungle gym in the style of a ship occupy its vast space. 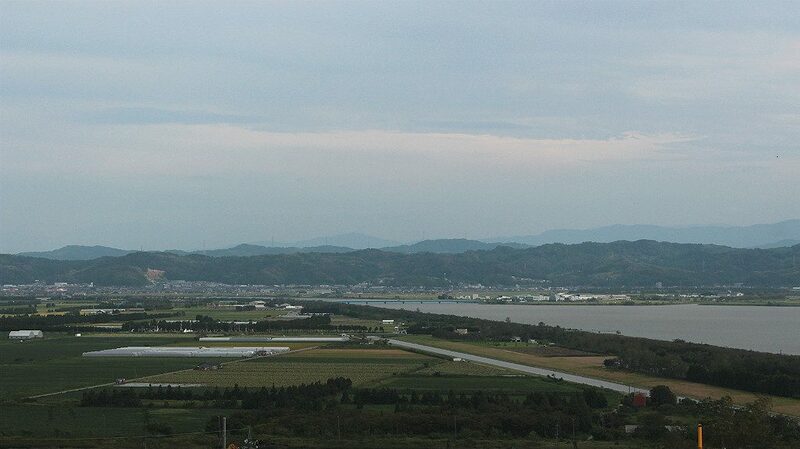 In the same park area, the Observation Tower offers views of the Sea of Japan (also known as the East Sea), the surrounding farmlands, and the Japanese Alps. Tower viewers are available for telescopic views. Bring your hundred-yen coins to use. Back on the southern half of the city, Dinosaur Park is available for little dinosaur lovers. Garden lovers will also find a Chinese style garden and gazebo nearby. 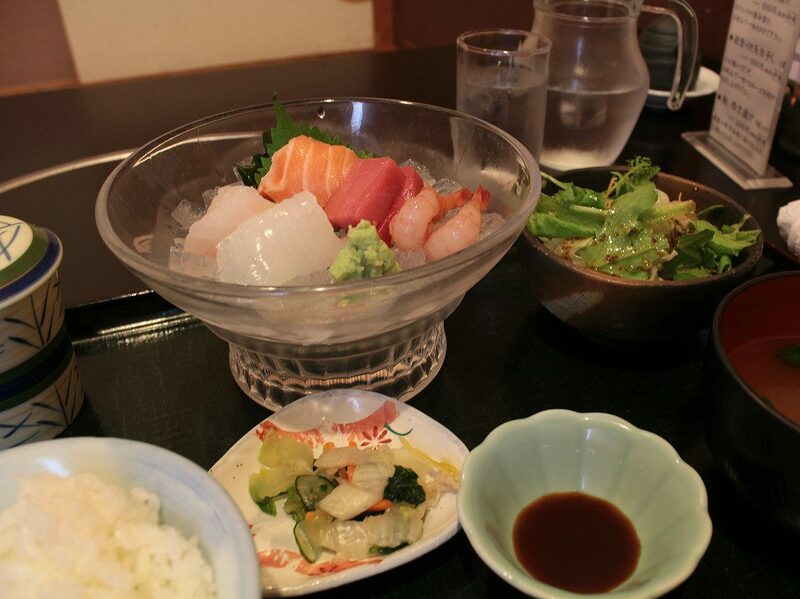 Uchinada has an almost surprisingly high concentration of delicious and affordable restaurants and bars. 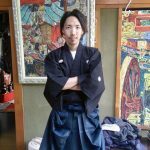 When people think of good food, or night life, I think that Uchinada might not be where people’s imaginations go, but there are some truly great restaurants all for much cheaper than you would get in Kanazawa. 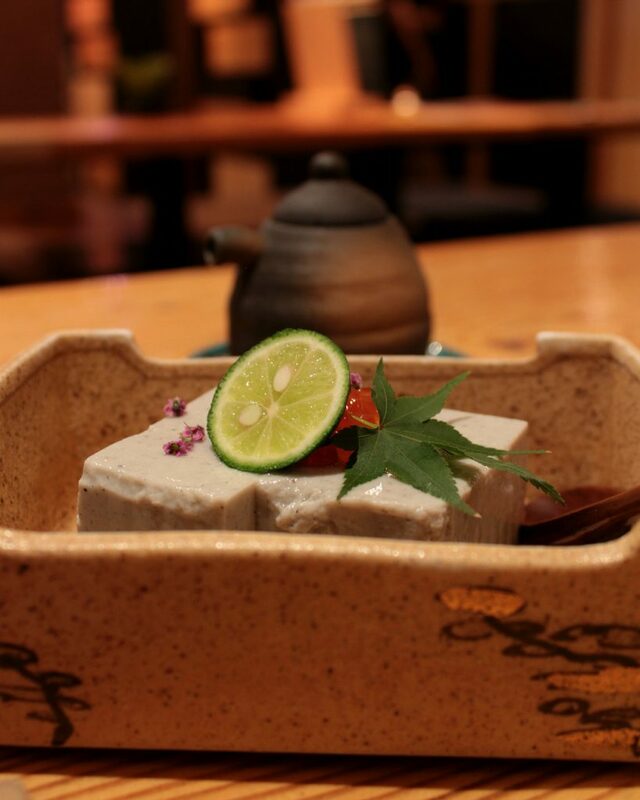 Haneya ranks highly on several restaurant ranking sites. Additionally, when I stopped into the Tourism Information office for maps, I also asked for a lunch recommendation, and Haneya was the first to come to the receptionist’s lips. My selection for lunch was easy. Inside, shoes come off and tables sit in private rooms, providing an escape from the city outside. 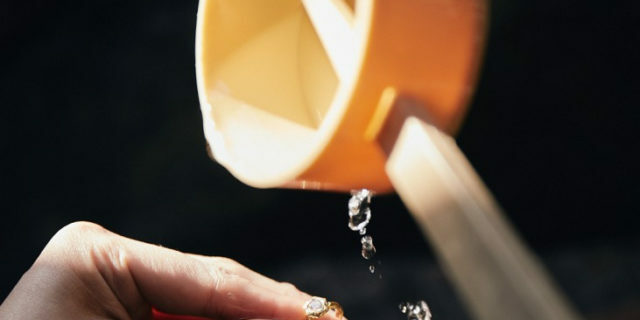 The staff spoke no English, but were patient and kind, and allowed me a generous glass of water upon request. The main menu is in Japanese, but I was presented with a nice photo menu in English, which included icons of ingredients in each set, and excellent guide for those with food aversion or allergies. Ben is right. The price is fantastic. For just over a thousand yen, I had a full spread for my lunch, including sashimi fish and the local amaebi (sweet shrimp), miso and not-an-overwhelming-amount of rice, savory pudding with chicken and fish cake, salad, and a selection of local pickles flavored with yuzu. Other lunch sets featured tempura vegetables or fried port cutlets flavored with miso. If you’re in or near Uchinada for the evening, head here. Open only from 6:00 p.m. and located on the second floor on one of the town’s highest points, the wide windows of this restaurant provide a lovely nighttime view of Kanazawa, and in the summer, of the sunset. The space is open and relaxed. Most tables will require shoe removal, but a few stylish counter seats allow you to keep them on. The restaurant is inexpensive, and as the dishes are both delicious and beautifully presented, it’s easy to make order after order. 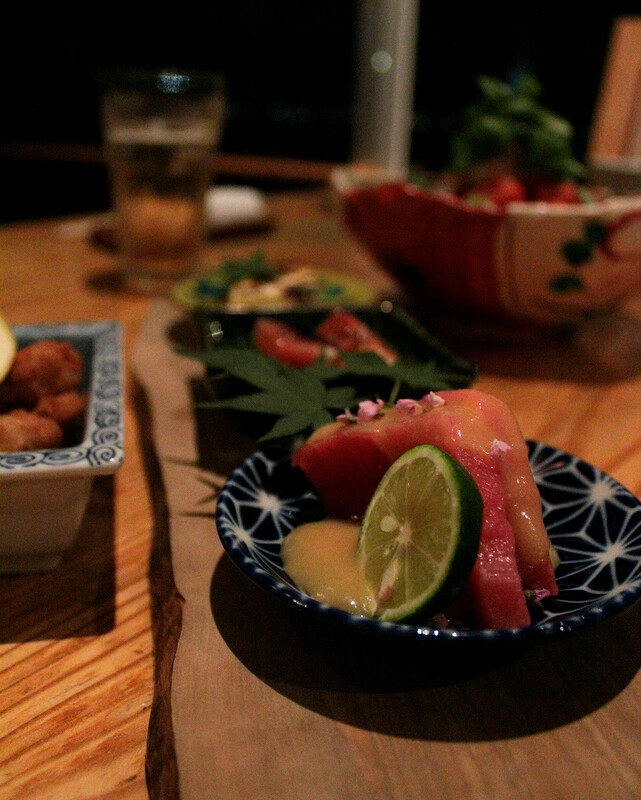 The menu offers a wide selection of Japanese-style nibbles. My dining partner and I dove into a bowls green salad with amaebi, tender stewed pork, and black sesame tofu. 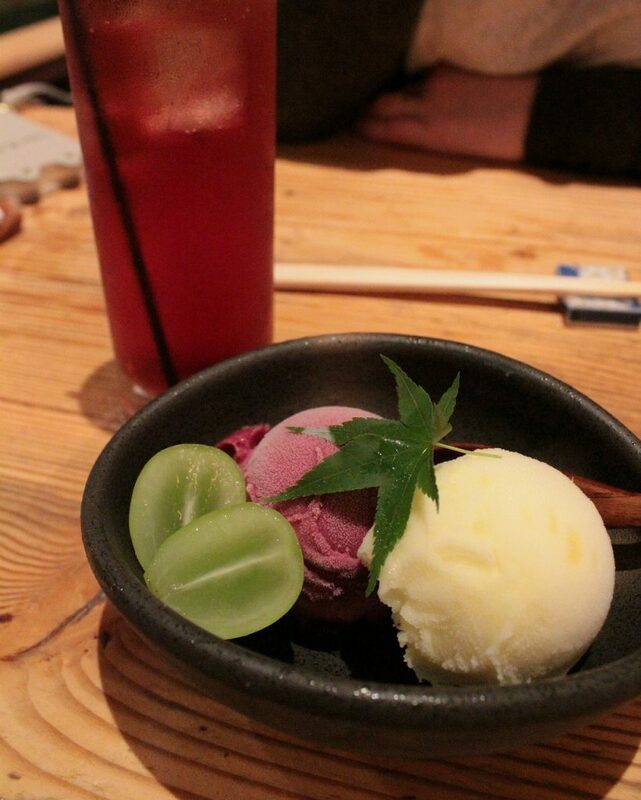 For dessert, frosty scoops of grape and yuzu ice cream. As per their name, Plum Dining specializes with a collection of umeshu, or “plum wine,” ranging in sweetness, and even offers a few umeshu-based cocktails. Be warned, all information is in Japanese, with no English menu. The menu is also handwritten, which may be difficult on automatic translators. Bring a translating friend or be brave. Either way, the experience will be worth it. Also, if you’re looking for a karaoke bar, En is particularly friendly to foreigners, remodeled, conveniently located less than five minutes from the station, down the same road you would walk straight to the beach. The owner’s name is Yoshimi and she is an absolute angel. 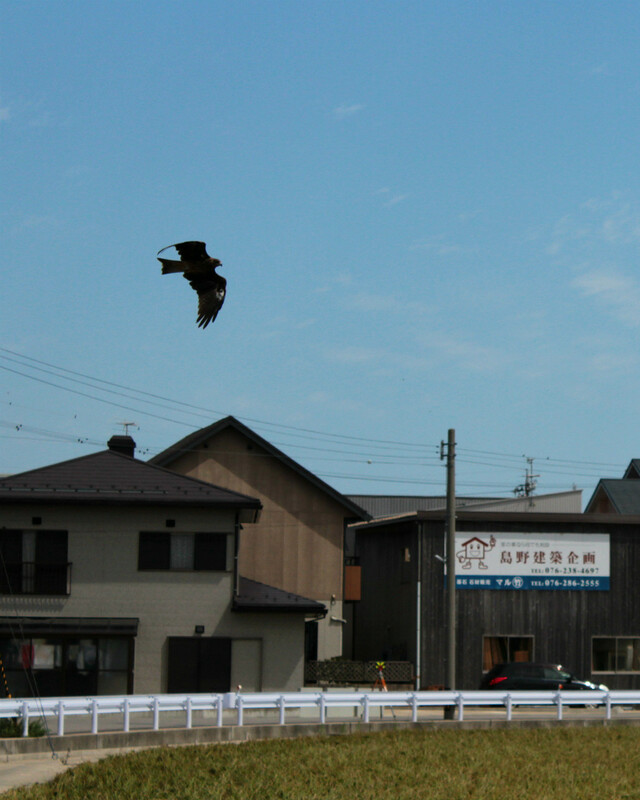 The Eastern Marsh Harrier Hawk, a bold and casual bird who will hunt and nest directly on the ground, is the appropriate symbol of this city. Its people are as equally friendly as fierce, with a history of fighting readily for the land they call home and the community they love. 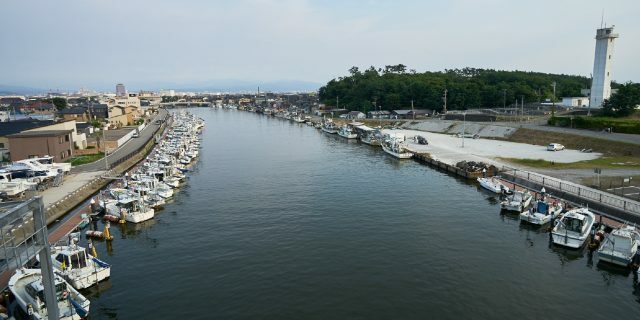 Just across the Sunset Bridge in the northern section of the city, the Uchinada History and Folklore Museum rests between an onsen center and a small children’s park. 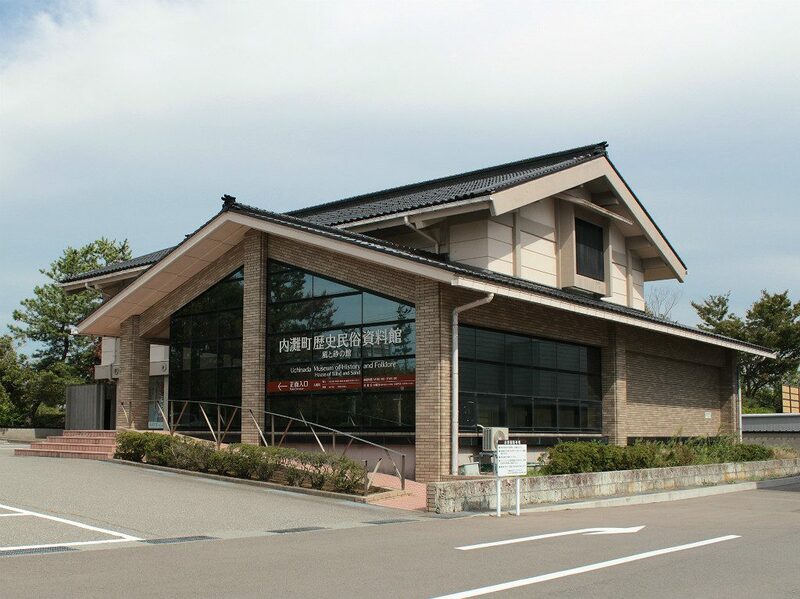 It’s marked clearly with English on the outside, and though the staff and short documentary within vocalize only in Japanese, the museum’s featured history is captioned in English. Uchinada was one of the first towns to successfully protest and push the U.S. military out during the occupation in what became known as the Uchinada Struggle. During the Korean War, the American military, with permission from the Japanese government, took Uchinada’s beach for munitions testing for what was supposed to be only a few months. Fishermen and their families were cut off from the beaches and the water. People could not work. Children watched from behind barbed wire. The weight of tanks compacted the beach sand into hard rock. Months turned to years as Uchinada suffered and began to fight back. 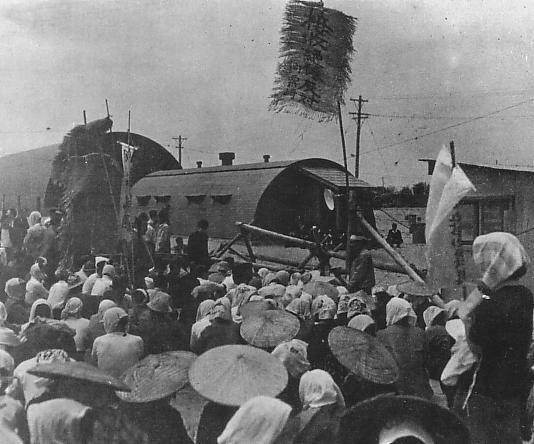 As official declarations changed tune on earlier promises, protests and demonstrations grew in and around the town. Riots broke out. Residents took up space on the beach, dangerously close to the firing range. A 7-minute documentary with footage of the protests, prayers, and outright fights is shown at the museum upon request. In the central space of the museum, the eye goes up, away from the first floor’s painful history to something more colorful, playful. Massive kites litter the ceiling, and following the stairs to the second floor, more await along the walls. Two dragon kites circle the entire area. 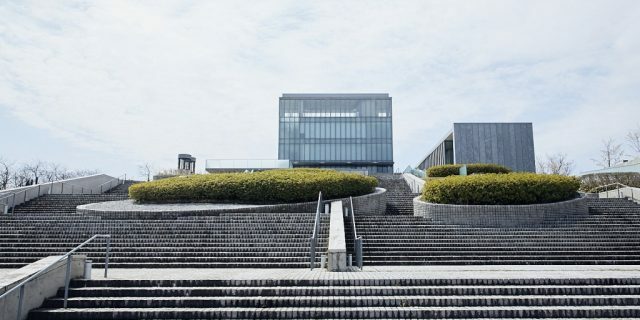 The upper floor is dedicated to Uchinada’s local crafts and prehistoric finds, and especially to its recent history of bringing movement and life to its beach’s skies. 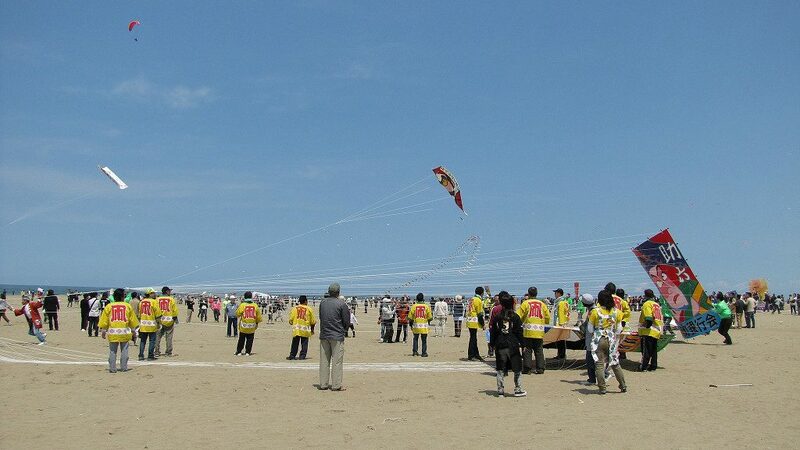 Every year in early May, the beaches once occupied by military forces are flooded with kites like these. All sizes and all colors dot the sky pulled in twos and tens across the soft sands. The Peaceful World Kite Festival internationally known among kite enthusiasts, with visitors from all over the globe. 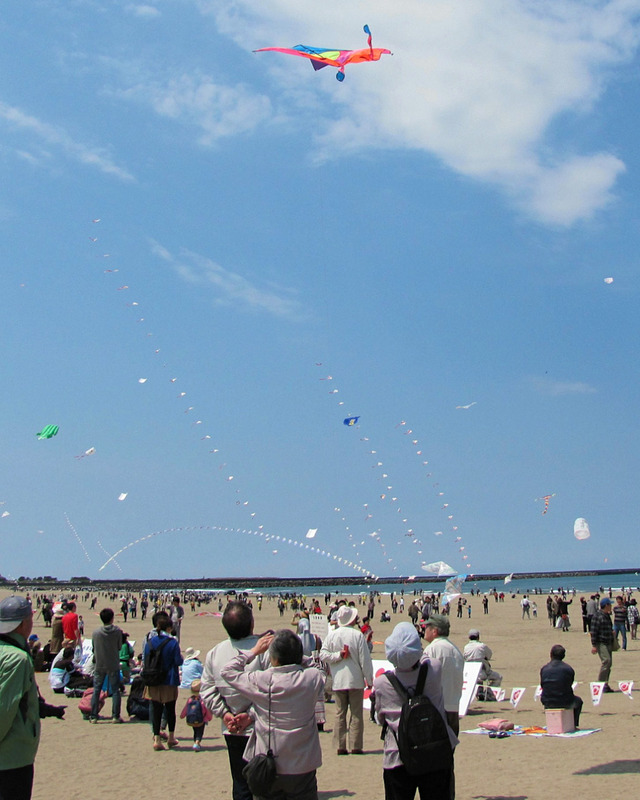 A competition is held, and of course, kites are on sale at the event as well. 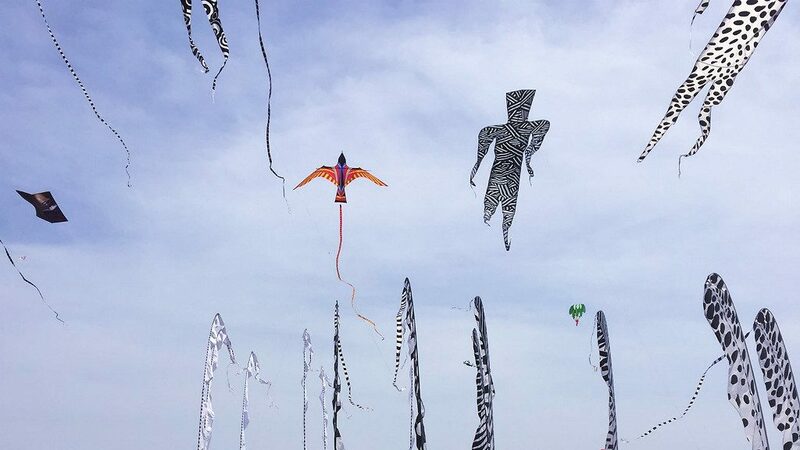 Kites of all shapes and sizes fill the sky. 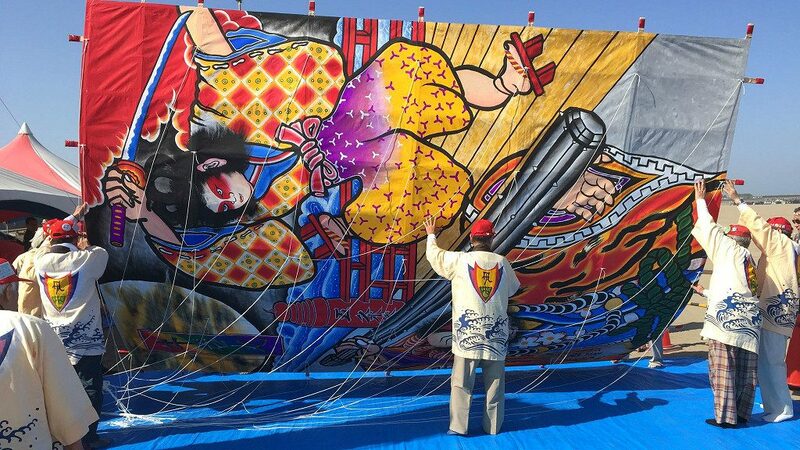 One of the festival’s draws is the massive kites with ornate depictions, made by schools and community centers around the area. These take teams of five to a dozen people to launch and keep aloft. A number of vendor stalls and food booths open up as well, adding competition to Uchinada’s already enticing selection of food. 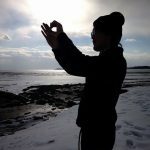 Beach, food, karaoke bars, scenery, all come together to give Uchinada a unique beach town vibe. . . It is hard to describe, but it is hard to go to any place here just once. I’m quite sure I’ll be visiting here again and again. I took the dedicated train that runs from Kanazawa to Uchinada. Head downstairs under Kanazawa Station‘s Omotenashi Dome for the small Hokutetsu-Kanazawa platform. Be sure to look down out the window when the train crosses the Ono River further north. For a few moments, you’ll see no ground or track, only the water beneath the train, reminiscent of Spirited Away. Even if you don’t bring your own bike, rentals are waiting for you at the Tourism Information Center, directly across from Uchinada Station, for 500 yen for 3 hours. Maps and information can be gotten here, too, but only in Japanese. An English map of Uchinada is available online, however. Uchinada is part of the Kahoku District in the Noto Penninsula and borders Kahoku City. 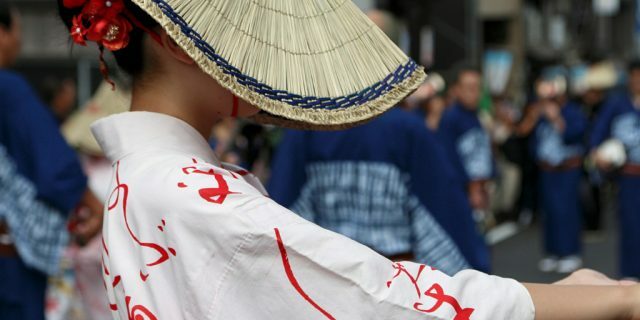 Uchinada is 30 minutes from Kaname Inn Tatemachi by car and one hour by public transport. Uchinada Sta. is 17 minutes by train from Kanazawa Sta., from the Hokutetsu-Kanazawa platform underground.